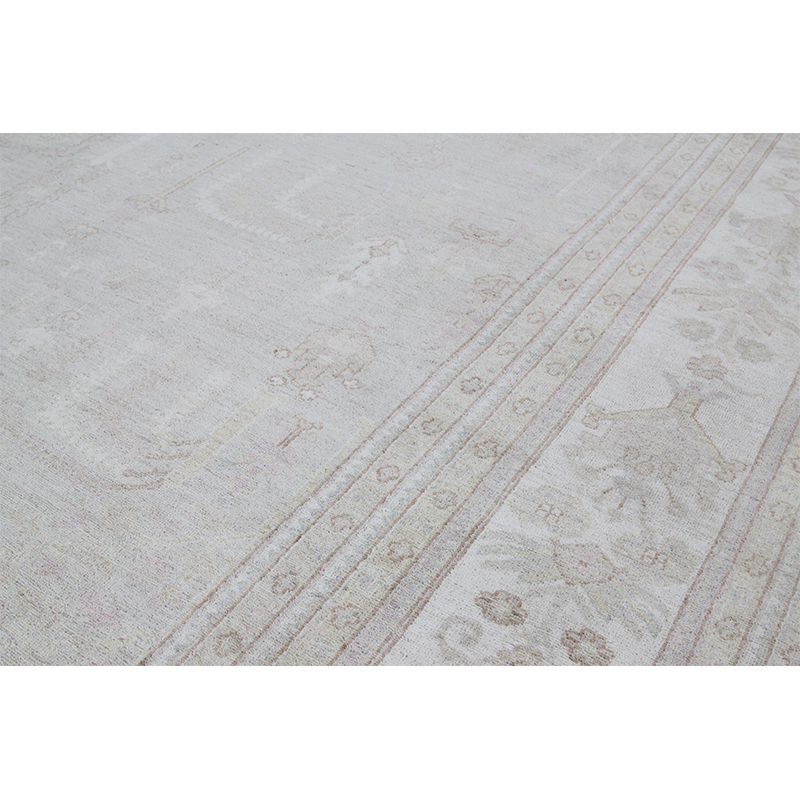 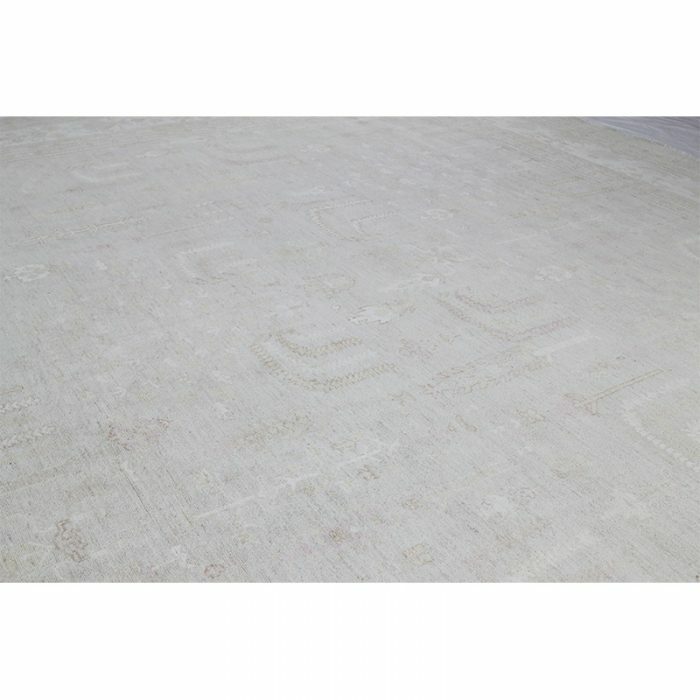 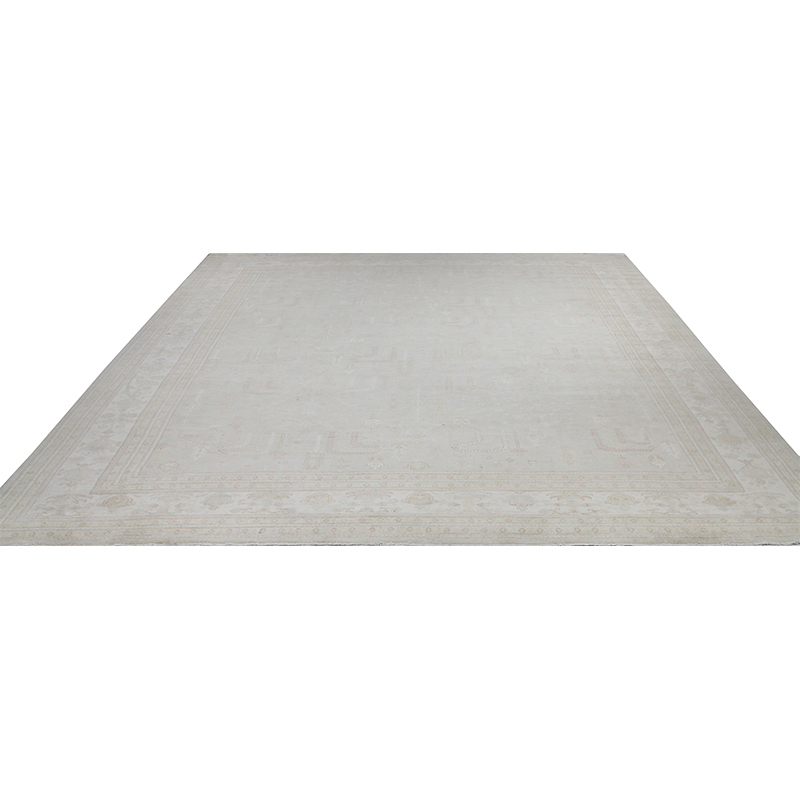 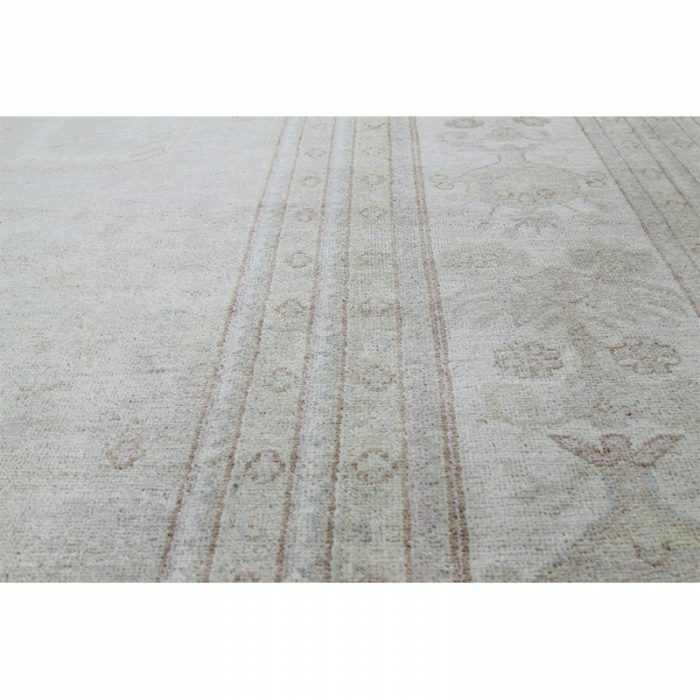 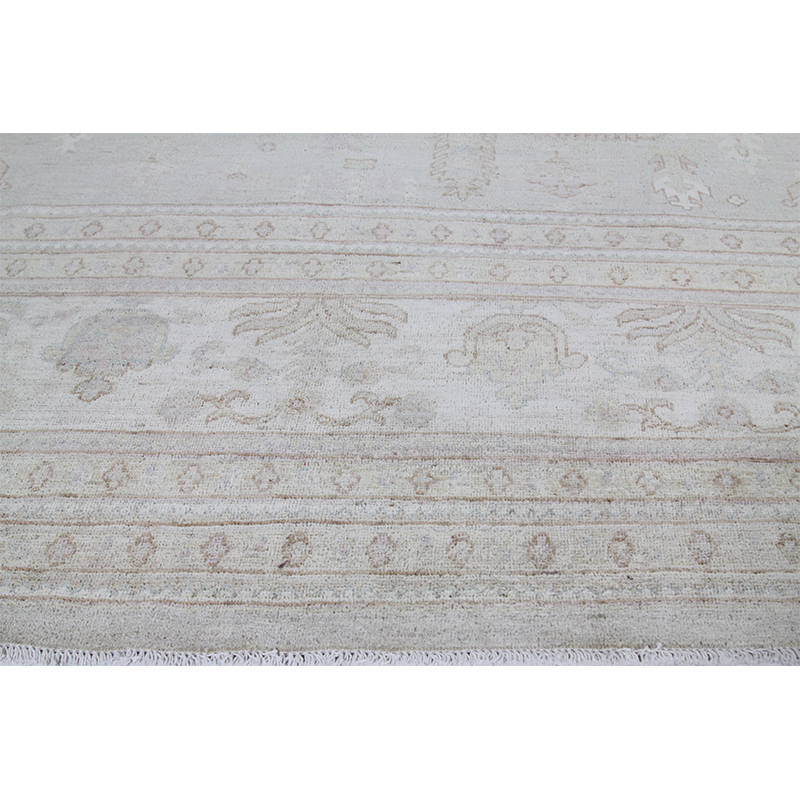 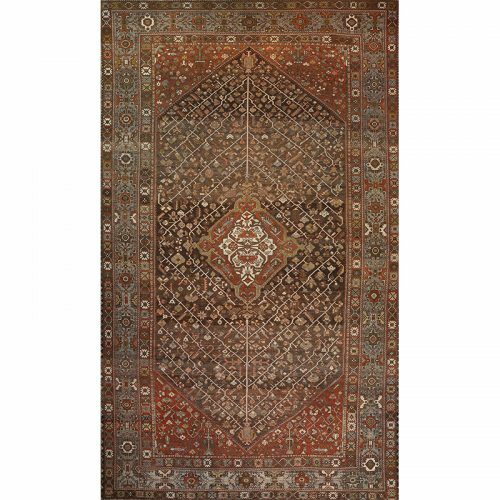 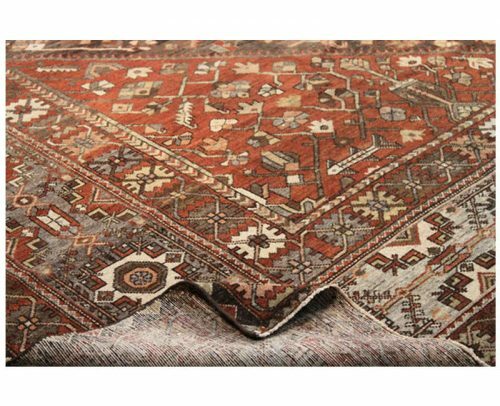 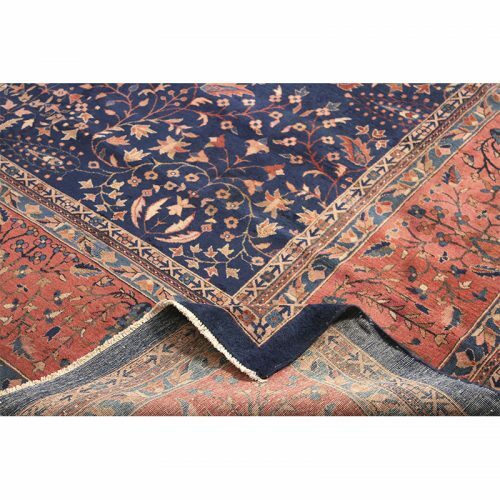 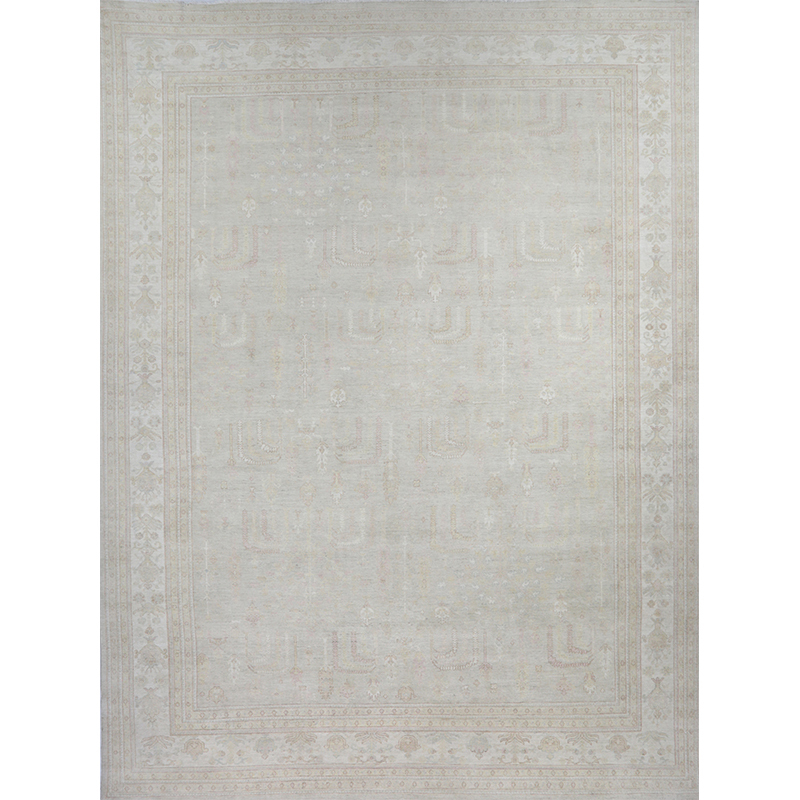 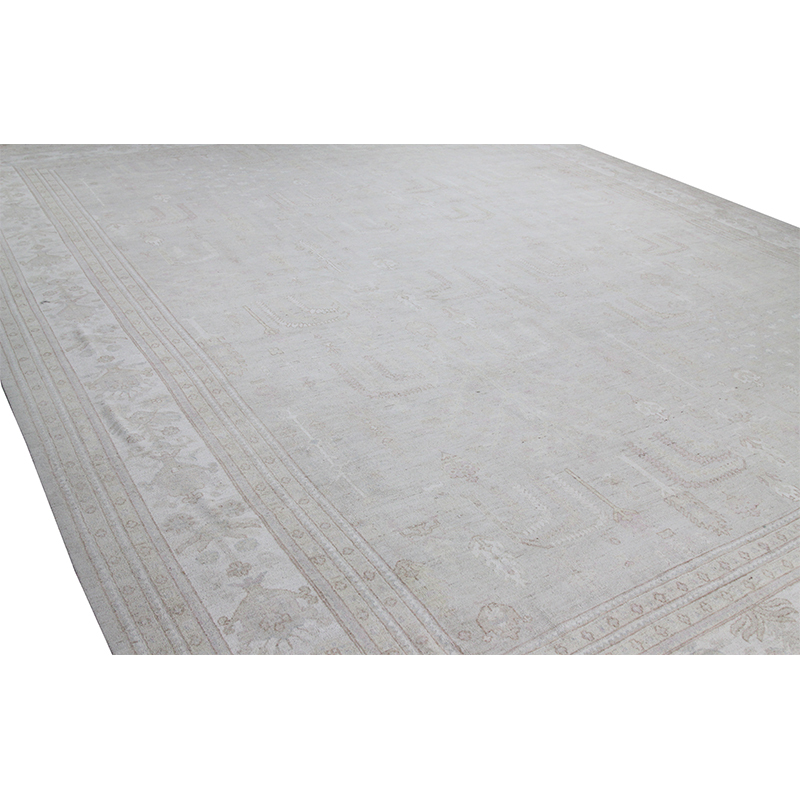 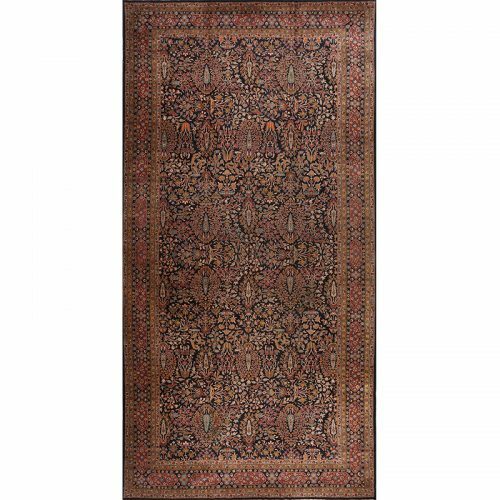 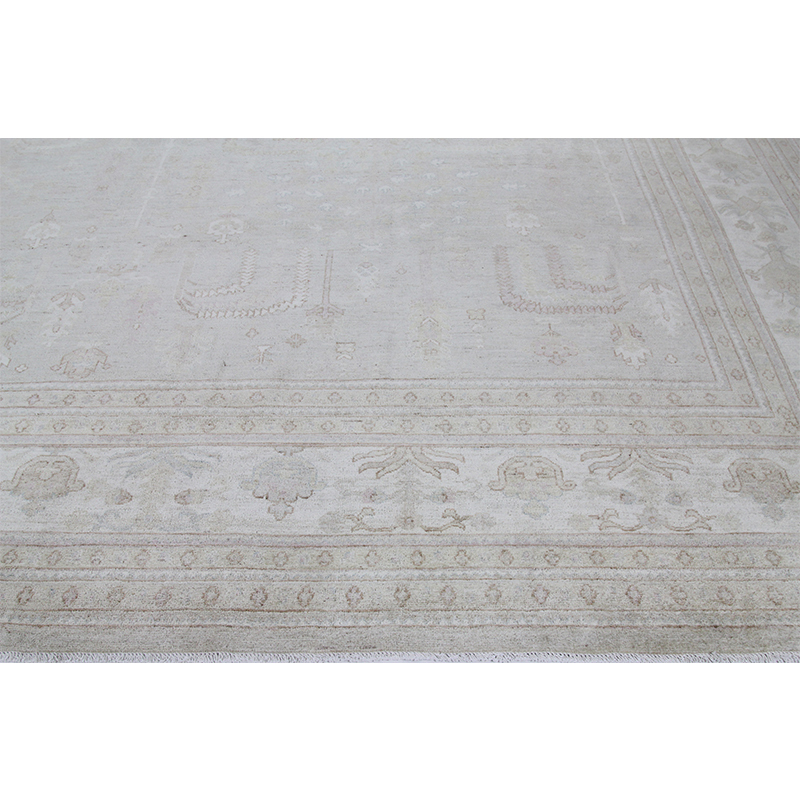 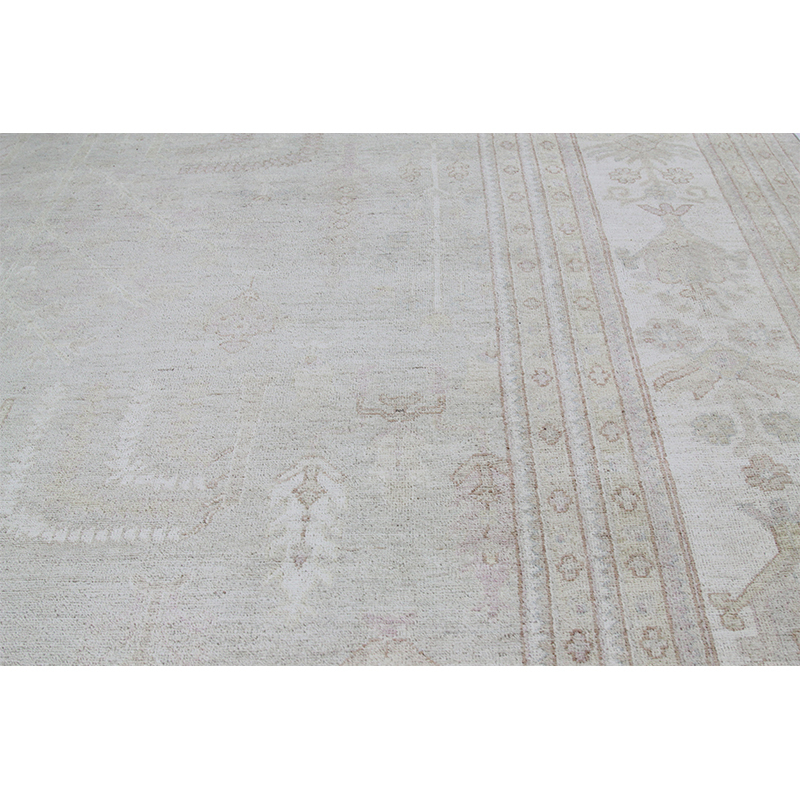 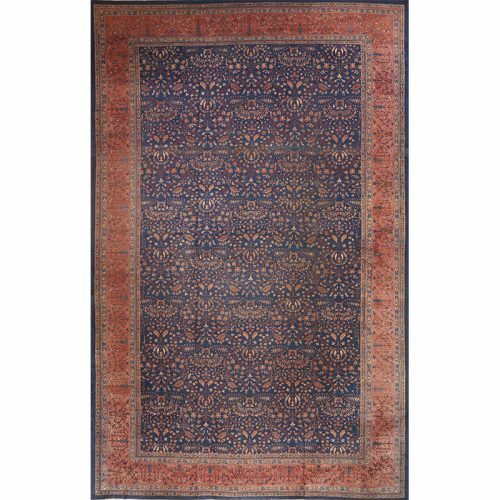 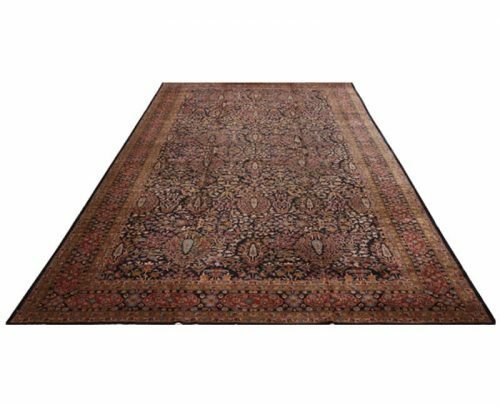 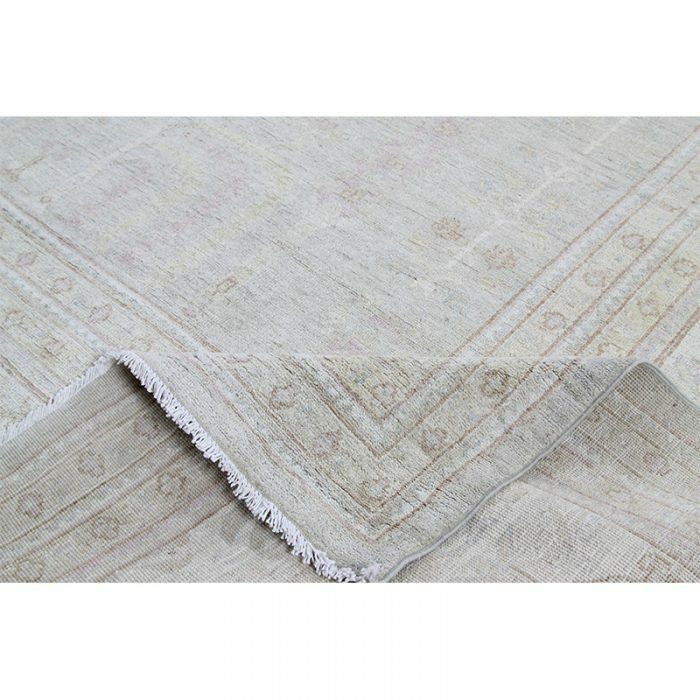 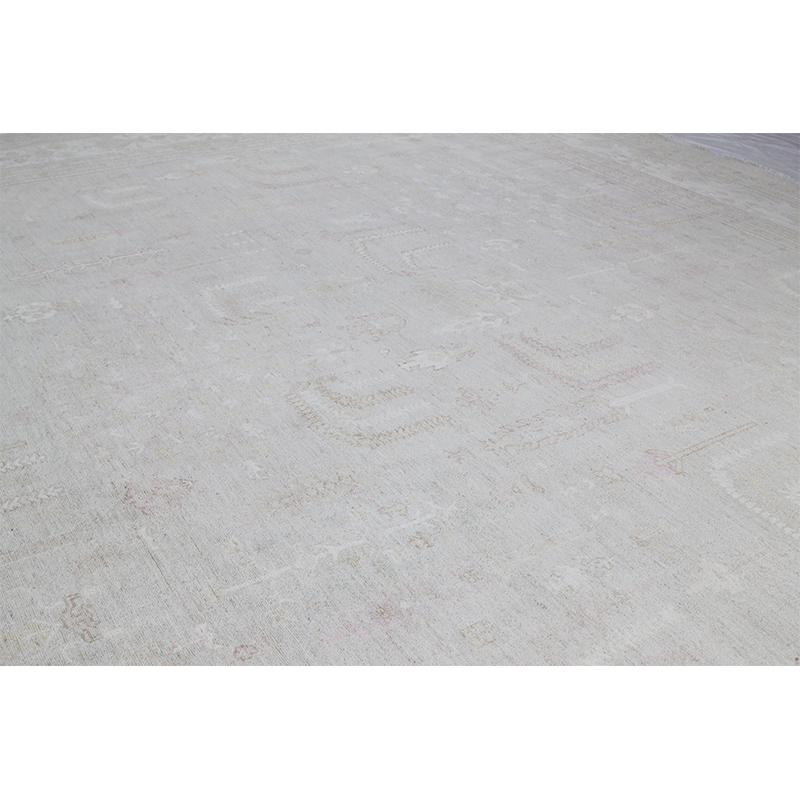 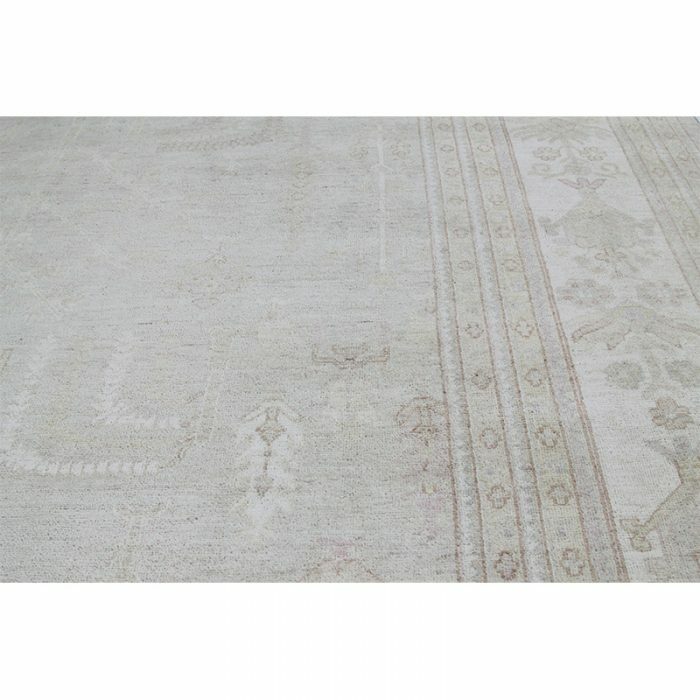 This traditional handwoven Turkish Oushak style rug features a recreated antique design. 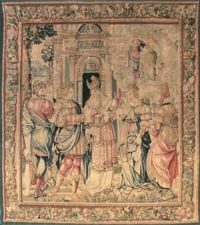 The elegant light gray colored field contains an allover geometric botanical motif framed by a similarly nuanced border of ivory. 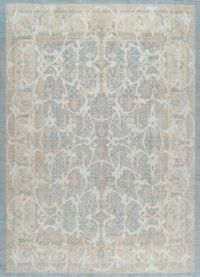 Additionally, accent colors include shades of light gold and light brown. Created from 100% natural wool and cotton by the artisans of Pakistan.